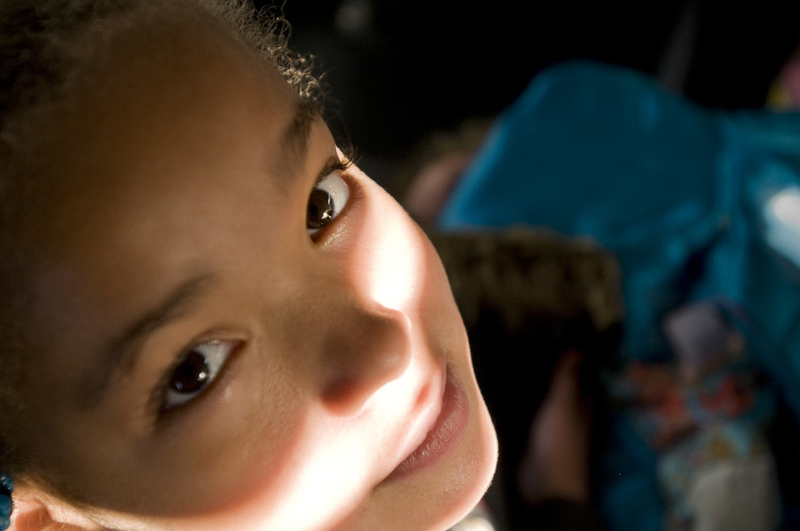 Small comforts for homeless kids. When you tuck your kiddies in tonight, think about them not having a bed of their own. Or a roof over their head. Or a place to call home. This is reality for almost 300,000 families in America – which means a lot of children are going to bed, scared and anxious, in an unfamiliar place. For Kendra Stitt Robins, a powerhouse lawyer who quit her career to raise her own little children, this vision just haunted her. 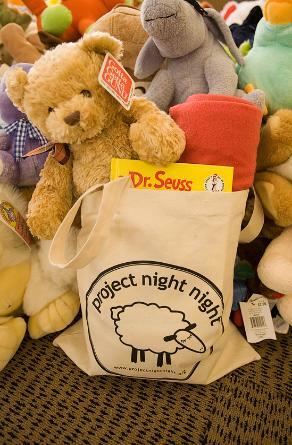 So in 2005, she started Project Night Night, to give homeless children entering a shelter a comfort package of a new blanket, new book and new stuffed animal in a cute tote bag they could take everywhere with them. It wasn’t a big deal. It was just a little something to keep fear and anxiety at bay … a little act of love that she could offer to children less fortunate than her own. Well, that little gesture has now grown into a dynamic organization that has served over 100,000 homeless children and created a grassroots ripple of generosity through 50 states. Girl Scouts, Boy Scouts, churches and synagogues are collecting new and gently used blankets, stuffed animals and age-appropriate books by the thousands and shipping them to Project Night Night. Kids are becoming Birthday Heroes by asking for checks to Project Night Night instead of a present – and sending them in with sweet notes to Kendra’s headquarters. Even corporations are getting involved, with big tote-bag stuffing service days with their employees. 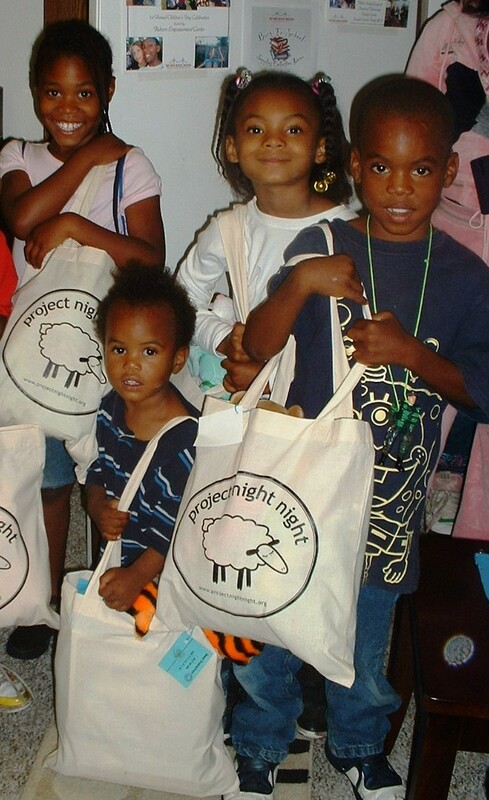 Thanks to PNN’s direct partnership with hundreds of shelters- and a small but mighty core of insanely dedicated mom/directors – Kendra’s organization has put Night Night totes in the hands of more than 25,000 homeless children, ages 1 to 10, every year. It’s such a great idea that works on so many levels – providing emotional support to children at risk, giving an educational resource with the books, and being a good environmental partner by keeping 50,000 toys and books out of landfills and in the hands of kids who will love them. I’m giving my $100 today to Project Night Night and I know I’ll sleep better tonight for it! To join me click here. Or to find out how you can put together a quick, easy, and deeply rewarding fundraiser or tote-stuffing party for Project Night Night with your kids, girlfriends, or company, click here.